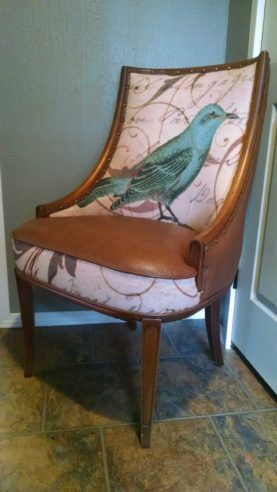 Whether you’re looking to reupholster your church pews or your dining room chairs, or you simply want to give your old furniture some new life, Herron Upholstery & MFG supplies you with economical prices on reupholstery services for furniture, antique furniture, and commercial furniture of any kind or size and style. You won’t need to worry about anything, as Herron Upholstery & MFG provides you with trustworthy solution that no other full-service Fort Smith, AR furniture upholstery business can resemble matching. Our reupholstery shop will certainly customize your project to offer you specifically what you want and what you need. We treat our clients with the highest level of client service, as the best business for furniture reupholstery in Fort Smith, AR. Our staff works constantly to see that your newly re-upholstered furniture delivers visual attractiveness to your residence, church, restaurant, business, hospital, or office. Regardless of what kind of furniture re-upholstery you desire, whether you are looking to reupholster your couch or reupholster your chair, we will certainly take care of every little thing. With our many years of experience in furniture re-upholstery for residences and commercial properties in Fort Smith, AR. We have the skills and expertise to customize your sofas, chairs, church pews, antique furniture, ottomans, sectionals, sitting booths, and even custom-made furniture, to meet your needs. We stand apart from our peers because we are able to give reupholstery service for any kind of home or commercial furniture you have. Our furniture reupholsters count on going above and beyond in order to see that you are pleased. We are a 2nd generation of craftsmen in furniture and the leading Fort Smith, AR furniture reupholstey provider, and our long checklist of repeat customers is a testimony to this reality. If you’re planning to change the look of your furniture with reupholstering, all you have to do is call the experts at Herron Upholstery & MFG. WE RECOVER CHAIRS, SOFAS, AND…. Each furniture re-upholster at Herron Upholstery & MFG is knowledgeable and possesses the ability to service your upholstery quickly. 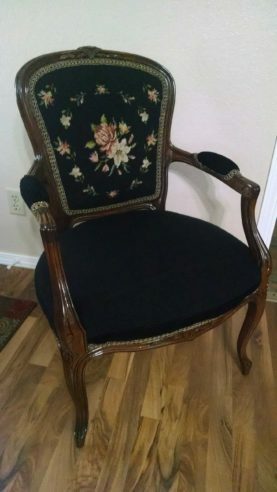 When you contact us, you will certainly be treated in a pleasant and polite fashion, as we want you to request our furniture reupholstery work repeatedly. You anticipate the best from the top furniture re-upholstery business in Fort Smith, AR, and we provide first-class solutions every time. To make it even more convenient for you, we offer our clients pickup and delivery for your furniture items. We provide our furniture reupholstery services in Fort Smith, AR and the surrounding areas, including Van Buren and Greenwood, AR. When it comes to the new look for your upholstery, you know just what you want it to look like . We will certainly bring our creativity and ingenuity to your furniture reupholstery job, and we guarantee that you will enjoy the outcome. Our company offers the widest assortment in product style and custom design while re-upholstering furniture of any shape or size. If you are thinking about getting the furniture in your home or business re-upholstered, don’t think twice! Our professionals are able to assist you! Whether you’re aiming to re-upholster your couch or the sitting booths in your eatery, Herron Upholstery & MFG gives you what you want at an inexpensive rate and the most premium craftsmanship in the Fort Smith, AR area. You will certainly be glad with the outcomes, as we will certainly give you with a high level of customer care that no other business for furniture re-upholstery in Fort Smith, AR can come close to. There are many reasons why you should come to us when you are looking to bring new life to your existing furniture. Our re-upholsters are educated and have years of experience when it pertains to reupholstering furniture in residential and commercial properties. You’ll be treated with the utmost level of courtesy and respect, as our professionals will work relentlessly to see that your house or business furniture reupholstery job looks the way you desire. Despite your reupholstery needs, we will certainly place every effort into providing you with extraordinary client service. From the time at which you contact our office, until the finished project, we intend to make sure that you are 100 % happy with us. There is no limit to the furniture re-upholstery services we can give you. Whether you intend to re-upholster the sectional in your living room due to wear and tear, or you want to modernize the look of your church pew, Herron Upholstery & MFG makes your desires a reality. We want our business to be the first number you call. When we finish with the furniture reupholstery project, we guarantee you will certainly not be dissatisfied. If you want to affordably change the appearance of the furniture in your office or home, all you have to do is ask Herron Upholstery & MFG, and we’ll be sure to give you what you want! © COPYRIGHT Herron Upholstery & MFG 2016. ALL RIGHTS RESERVED.